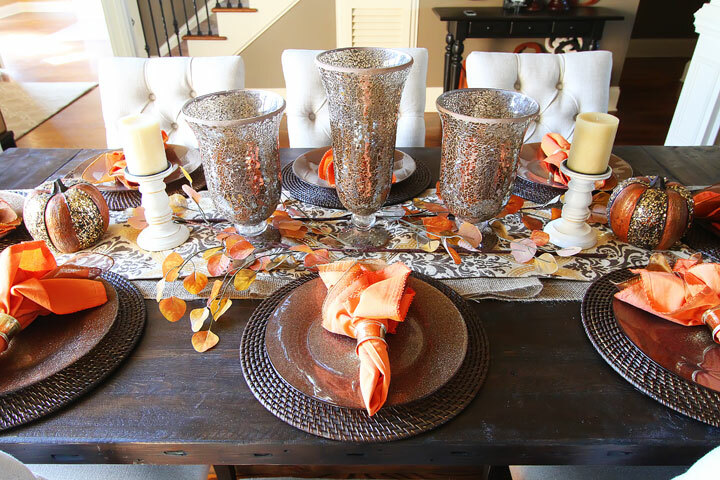 Is your Home Ready for the Fall Market? As the sun begins to set on summer, families are returning from vacation and jumping back into their daily routines; this is when real estate typically sees a spike in sales. Home owners begin to evaluate the state of their home resulting in an active market. Although it is short in span, typically starting just after Labour Day and tapering off in November, fall is a popular time to buy and sell homes before colder weather sets in. With an already hot marketed remaining steady through the summer, now is the perfect time if you have been considering a move. Add some colour. Add warm pops of colour to the entrance of your home to draw buyers in. You can achieve this by using planters or decorative urns full of seasonal flowers such as chrysanthemums. Rake leaves and clean eaves drops. Remove any debris such as sticks and leaves from your lawn and eaves drops. A well-kept lawn attracts buyers even in the fall. Create a warm, cozy atmosphere. Scented candles such as apple cinnamon will not only provide a delicious smell, but also a comforting one, for anyone in your home. Find out why so many people refer their business to us. Call us for a free, no obligation home evaluation to experience the difference the Rocca Sisters & Associates bring. Our proven systematic approach to client care will maximize your experience, ensure you have constant communication, and will keep you a part of the process every step of the way. As leaders in marketing and pioneers in home staging, your home will receive maximum exposure through our innovative marketing techniques, brand recognition, and the strength of our vast network. Let our highly responsive, executive team of professionals cater to all of your Fall real estate needs. Call us today at 905-844-2022 or email us at info@roccasisters.ca to learn more about the Fall market and request an free evaluation. The Rocca Sisters & Associates personal approach and proven results will surpass your expectations! Comments Off on Is your Home Ready for the Fall Market? Décor vs. Staging: What the Difference is and how to decide? Nicholas Haslam, one of the top interior designers in London, once said “interior decoration partly thrives on being social.” Just as we each have our own individual style, so do our homes. Décor is a reflection of our personality that we showcase in our home. Its essence can come from a piece of art that inspired us or a season’s hot colour. What appeals to one person might not appeal to another. Staging is the skill of setting up a home in a way that controls traffic flow, maximizes square footage and highlights features as well as downplays negatives. Appealing to the emotion of the buyer is a large part of what we do since the decision to buy a home is often based on the emotional feel and attachment that a buyer experiences in your home. This goes far beyond décor and personal taste. “Staging is an excellent tool that can be used to give a home a little extra push for sellers. Staging isn’t used by every Realtor® in every situation, but the impact it may have and the value it can bring is clear to both home buyers and sellers,” says the National Association of Realtors 2015 Profile of Home Staging. When it comes to selling your home the science behind staging makes it an easy choice. The goal is to attract as many buyers as possible. The best way to do that is to create an organized and neutral space in which others can visualize their own personal style and décor in. As experts in the field, we have been staging and helping people prepare their homes for sale well over 18 years. Since we have been providing this valuable service for so long, we have developed the ‘Staged & Sold’ brand and are owners of the trademark. Our proven statistics for average days on market as well as list-to-sell price ratio proves that our staging strategies work. When we stage your home, we walk you through the process step-by-step and come up with a room by room action plan for both inside and outside the home. It is not simply a consultation; it is a full hands-on professional staging of your entire home, completely complimentary and part of our full service program. We encourage you to visit our website at roccasisters.ca to learn more about our ‘Staged & Sold’ brand. Please don’t hesitate to contact us today for your free home evaluation and staging consultation. Comments Off on Décor vs. Staging: What the Difference is and how to decide?